This Playmobil 9144 Sand Water Tank Truck is a day at the beach! The removable tank can be filled with water (approx. capacity: 4 cups). The two ramps are removable and can also be used individually for playing, making it easier for the truck to drive over sand. 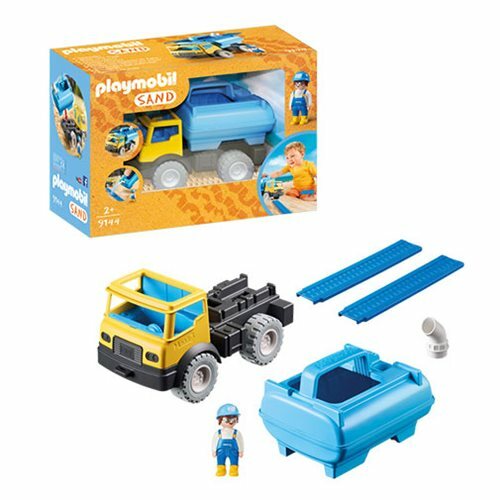 Two PLAYMOBIL 1.2.3 figures can be seated in the driver's cab of the vehicle via the roof opening - one is included. The two ramps extend the play possibilities. The ramps can be used as water gutters or as bridges.